Apple is preparing to raise $17 billion (about £10bn, or AU$18.3bn) in a bond offering, according to numerous reports. The cash generated would reportedly be used to fund a share buyback and to initiate a round of acquisitions. During the company's earnings call last week, during which it announced it sold 43.7 million iPhones and 16.3 million iPads in Q2, Apple said it would increase its share buyback from $60bn (about £35.7bn, or AU$64.8bn) to $90bn (about £53.5bn, or AU$97.2bn). Apple has approximately $150 billion (about £89b, or AU$152bn) in cash, 88% of which is held overseas. However, the company would be forced to pay 35% in taxes to bring the money back into the US. Apple has $38 billion (about £22,6bn, or AU$41bn) in domestic cash but would like to increase domestic liquidity in order to "grow the business and execute capital expenditures and acquisitions," Luca Maestri, Apple's CFO said, during the earnings call. The bond issuance would be the second largest corporate bond sale of all time, behind Verizon's $49 billion (about £29.1bn, or AU$53bn) issuance, and just ahead of Apple's six-part $17 billion (about £10bn, or AU$18.3bn) bond offering, both of which occurred last year. The offering may occur as soon as this week, according to Bloomberg. Apple has acquired 24 companies in the past 18 months, including most recent purchases photo app company SnappyLabs and iOS testing platform Burstly. 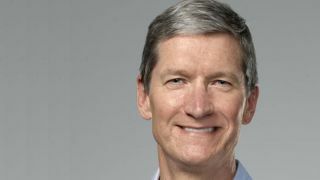 The Cupertino-Calif.-based company is "closer than ever" to launching new product lines, according to a statement made by CEO Tim Cook. New devices include an iWatch and an Apple TV set-top box. Apple is also rumored to be launching updates to its 11-inch and 13-inch MacBook Airs next week, and it is rumored to be investing in a mobile payments service. Find out what to expect from Apple in 2014.